Following the post here http://forum.kitz.co.uk/index.php?topic=18942.msg337615#msg337615 which I do not want to hijack, I thought I would show my proposed new LAN which will be live when I built my PFSense device. Ram and SSD are already here. The SSD is way overkill but is a 60gig mini sata SSD (30gig is same price so 60gig is no brainer). Very cool, have always wanted to fiddle with pfsense but have never been brave enough as a primary device. As a (relevant) aside, personally I have had bad experiences of the passive Celeron microPC's, in my case the Asrock Beebox N3000 which has problems with heat dissipation under any kind of load and also very poor wireless and bluetooth performance - admittedly I was running Windows 10 on it and using it as a HTPC. I have since switched it to LibreElec and it is much better but I have had to remove the wireless cards and use an external dongle instead and also take out 2.5" disk to keep it cool. I use pc engines apu2 with 4gb ram and 30gb mini ssd. 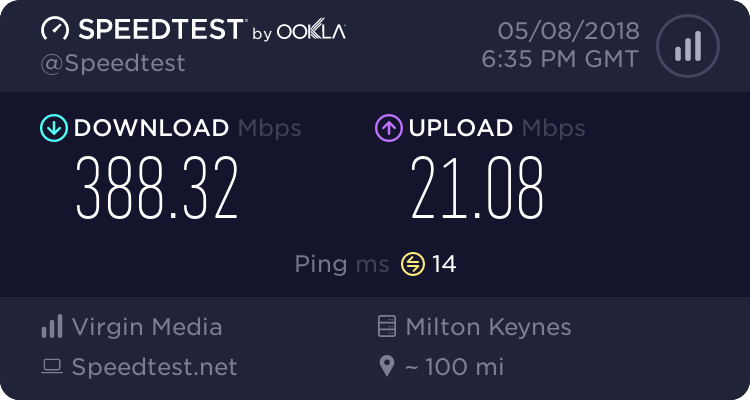 Works a treat with my sky fibre pro too, supports sky IPV6 along with open vpn works really well as I got my static IP before sky stopped offering them. Its 12volt as well so low power use. Not seen it break into a sweat yet.. Purchased it from LinITX in the UK - came pre built and pre-installed with a full version of Pfsense. if anyone wants sky settings PM me should you fancy having a go.. I was having so much packet loss with my old asus I just needed a next day solution to resolve the issues quickly I did run it on my i7 with 2 lan cards pre purchae - worked just fine but the power consumption was a bit crazy as it was my gaming pc.. I read your post and I was thinking hmmmm. Because I did check the price of the APU2 before (someone else recommended it to me) was over £200 hence what I got instead, but then thought some more about your post and you mentioned direct, and indeed I noticed the buy direct link and its significantly cheaper than the reseller and cheaper then what I have ordered so is the better choice. Sort of feel an idiot now but I will persist with what I ordered. What I ordered does come with the casing and is more compact so its not a loss all round. Thanks Underzone for the link, and skyeci for the offer - I'll see how I get on. Chrysalis, I only stumbled upon the buy direct option because I was reading this thread and someone asked how he got it so cheap. You can also buy a case from them as well, in a choice of colours. I prefer the looks of yours, but the APU2 has three NICS, so if I ever got a second line it could load balance as well. I'll probably go back to using the HG612 as the modem, my upload is now down to 4192kbps, whilst D/S is now at 50412kbps, and I know the HG612 will give me more upload. The annoyance with mine is it has realtek nic's and the FreeBSD drivers for realtek are not great, I will probably run them with offloading disabled as my experience dictates. Whilst the APU2 nic's are all intel. The cpu on the box i am buying however will be fine without checksum offloading its easily powerful enough. The APU2 is also more future proof as you said with the extra NIC but not just that but also the extra mini pci-e connectivity on board for future addon cards. Yeah me too. When you watch the vid and he says how most routers are 400MHz and 128Mb RAM it makes you realise how good a standalone box @2GHz with 8GB and an SSD could be! Chrysalis, I only stumbled upon the buy direct option because I was reading this thread and someone asked how he got it so cheap. Do you need a VAT number to buy this stuff direct? One of the posters in the thread talk about how the unit lacks power - would a Celeron unit like Chrysalis is buying be a more fkexible option? My unit has more cpu grunt, but my opinion is the apu2 also has enough grunt comfortably to do its job, both have cpus way more powerful than current high end retail consumer routers. If I have to I will add intel nic's via the mini pcie connector or even buy an apu2 at a later date, hopefully I am fine on the realtek's tho. As a comparison my ac68 is running at 1200mhz (overclocked, 800 is stock), but it has no aesni acceleration and has worse performance per clock than both systems. A big factor in my decision is that the dev of the firmware on my asuswrt has started to imply he is not willing to do bug fixes that only I have found (he is moving into only fixing for the masses mode) and that a lot of the software behind asuswrt is reliant on very old code due to a locked down closed source driver from broadcom. I had to manually apply some workarounds to get ipv6 fully stable on my sky connection, and the dev refuses to even acknowledge its broken so that was the trigger point for me. Is a shame the unit I have ordered is using realtek nic's as otherwise I would have considered it perfect (assuming one is ok using a separate WAP and gigabit switch).